Following a long held dream of travelling the world by motorcycle, join me in April 2017 for the Adventure. Very nice, enjoy and be safe Paul. Hope you have a blast mate!! Good luck. Will be following from the comfort of my couch. Enjoy the trip, take plenty of pics so the olds at home can dream. Stay safe The old man. whose the old fulla in your passport photo? 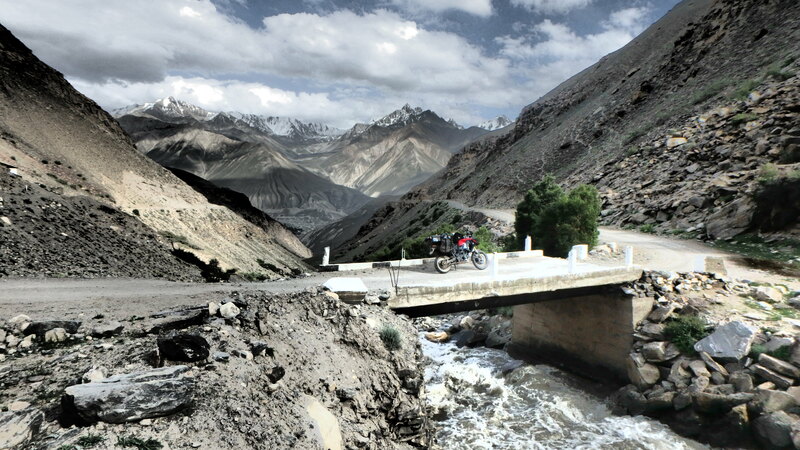 I met you in Kyrgyzstan just below Song Kul, I was riding the WR. Just came across your details and thought I’d check in to see how you’re getting on. Make it into Tajikistan OK? G’day John, yep still going, Tajikistan, the Pamir and the Wakhan Valley have been the highlight so far. I’m now waiting in Aktau Kazakhstan for the Ferry to Baku, been here since Saturday and now it’s Tuesday night but I’ve been told it’s coming tomorrow. Sounds like you got back to Canada ok and back to work? Hi Paul, Where are you on your travels now? I’m currently in Rougemont, Switzerland staying in a lovely chalet of our very own (sort of). It’s a stunning country and I highly recommend you spend a bit of time here. Take a train up the mountains and you’ll be rewarded with a spectacular sight. Plenty of great mountain roads for motorcycles too. Hi Steph, good to see you are enjoying your trip. I’ve just arrived in Sibiu Romania (the blog is a little behind) There’s a couple of roads I want to ride here then it’s up to Poland and Germany then down through Switzerland and Austria to Italy so I’ll try and enjoy as much as I can. I’ve just been blown away by the Balkans (Albania, Montenegro and Bosnia in particular), so much to see and not enough money or time for all of it.